Ceramat, the automatic sensor lock-gate from Knick, is wear-free, pneumatically operated and allows for automatic sensor maintenance and calibration under process conditions. 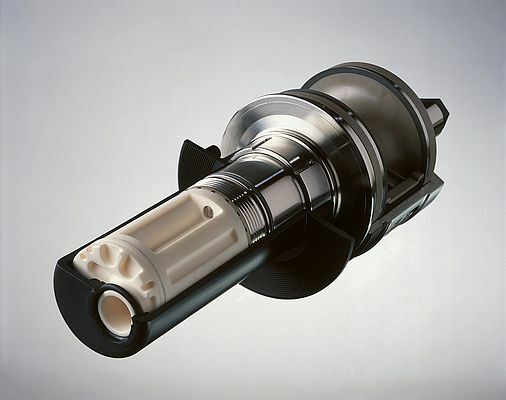 The seals of this sensor withstand chemically aggressive and contaminated process media. The calibration chamber is sealed from the process by 2 rotating highly planar and extremely hard ceramic disks. Thanks to this ceramic sealing and a non-moving housing made of carbon-reinforced PEEK, PVDF, or stainless steel 1.4571, this sensor lock-gate can be used with corrosive and abrasive media and with media containing fibers and depositing solids.